Shahabuddin Delawar is a U.N.-sanctioned Taliban senior leader based in Qatar. Until September 1998, Delawar was the Taliban’s ambassador to Saudi Arabia.“Security Council Committee Established Pursuant to Resolution 1988 (2011),” United Nations Security Council, February 23, 2001, https://www.un.org/sc/suborg/en/sanctions/1988/materials/summaries/individual/shahabuddin-delawar. He has since led or participated in several Taliban delegations in other countries. Delawar is also sanctioned by Australia,“The Consolidated List,” Department of Foreign Affairs and Trade for Australia, June 20, 2017, http://dfat.gov.au/international-relations/security/sanctions/pages/consolidated-list.aspx#list. France,“Liste Unique de Gels,” French Ministry of the Economy, accessed June 21, 2017, http://www.tresor.economie.gouv.fr/11448_liste-unique-de-gels. the European Union,“Council Implementing Decision 2012/167/CFSP,” Council of the European Union, March 24, 2012, http://eur-lex.europa.eu/legal-content/EN/TXT/?uri=celex%3A32012D0167. and the United Kingdom.“Consolidated List of Financial Sanctions Targets in the UK,” Government of the United Kingdom, April 12, 2017, https://www.gov.uk/government/uploads/system/uploads/attachment_data/file/608393/afghanistan.pdf. Delawar was the Taliban’s chief delegate during talks in Chantilly, France, in December 2012. According to an anonymous source present at the talks, “Delawar was surprised that everyone else was talking about coalitions and elections… They [the Taliban] still think they can win on the battlefield.”Ali M. Latifi, “Taliban talks in Doha drag on endlessly,” February 26, 2013, http://www.aljazeera.com/indepth/features/2013/02/201322121225350352.html. At the same meeting, Delawar reiterated that the Taliban would not negotiate with the official government of Afghanistan under then-President Hamid Karzai. Delawar has continued to act as a Taliban envoy since moving to Qatar, helping to set up the Taliban’s office in Doha. In April 2016, Delawar took part in a three-person Taliban delegation in Islamabad for “exploratory” meetings with Pakistani government authorities.Ayaz Gul, “Afghan Taliban Negotiators Arrive in Pakistan for Initial Talks,” Voice of America, April 25, 2016, https://www.voanews.com/a/afghan-taliban-negotiators-pakistan-initial-talks/3302105.html. In March 2017, Delawar was part of a five-person Taliban team led by Qatar office chief Sher Abbas Stanikazai that visited China on the invitation of the Chinese government.Tahir Khan, “Afghan Taliban political negotiators visit China,” Express Tribune (Karachi), March 7, 2017, https://tribune.com.pk/story/1348055/afghan-talibans-political-negotiators-visit-china/. Like many other Taliban leaders, Delawar has found sanctuary in Qatar. As of 2015, Taliban leaders were reportedly living in an exclusive neighborhood in suburban Doha, receiving luxury SUVs, free medical care, air-conditioned homes “the size of small castles,” and fresh produce delivered daily to their homes, according to a report by Newsweek journalist Sami Yousafzai.Sami Yousafzai, “Taliban Leaders Are Living in Luxury in Qatar,” Newsweek, March 24, 2015, http://www.newsweek.com/2015/04/03/taliban-leaders-are-living-luxury-qatar-316122.html. Maulvi Shahabuddin DilawarTahir Khan, “Afghan Taliban political negotiators visit China,” Express Tribune (Karachi), March 7, 2017, https://tribune.com.pk/story/1348055/afghan-talibans-political-negotiators-visit-china/. Mawlawi Shahabuddin Delawar“How Qatar came to host the Taliban,” BBC News, June 22, 2013, http://www.bbc.com/news/world-asia-23007401. Australia sanctioned Shahabuddin Delawar as an individual associated with the Taliban pursuant to U.N. 1267 Committee decision of February 23, 2001.“The Consolidated List,” Department of Foreign Affairs and Trade for Australia, June 20, 2017, http://dfat.gov.au/international-relations/security/sanctions/pages/consolidated-list.aspx#list. 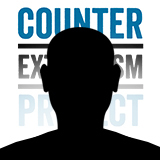 The European Union sanctioned Shahabuddin Delawar as an individual associated with the Taliban pursuant to U.N. 1267 Committee decision of February 23, 2001.“Council Implementing Decision 2012/167/CFSP,” Council of the European Union, March 24, 2012, http://eur-lex.europa.eu/legal-content/EN/TXT/?uri=celex%3A32012D0167. France sanctioned Shahabuddin Delawar as an individual associated with the Taliban pursuant to U.N. 1267 Committee decision of February 23, 2001.“Liste Unique de Gels,” French Ministry of the Economy, accessed June 21, 2017, http://www.tresor.economie.gouv.fr/11448_liste-unique-de-gels. The United Kingdom sanctioned Shahabuddin Delawar as an individual associated with the Taliban pursuant to U.N. 1267 Committee decision of February 23, 2001.“Consolidated List of Financial Sanctions Targets in the UK,” Government of the United Kingdom, April 12, 2017, https://www.gov.uk/government/uploads/system/uploads/attachment_data/file/608393/afghanistan.pdf. The U.N. sanctioned Shahabuddin Delawar as an individual associated with the Taliban on February 23, 2001.“Security Council Committee Established Pursuant to Resolution 1988 (2011),” U.N. Security Council, February 23, 2001, https://www.un.org/sc/suborg/en/sanctions/1988/materials/summaries/individual/shahabuddin-delawar. Shahabuddin Delawar is a U.N.-sanctioned Taliban senior leader based in Qatar.